When would you like to stay at Golden Age Hotel - Check Availability & Room Rates!!! 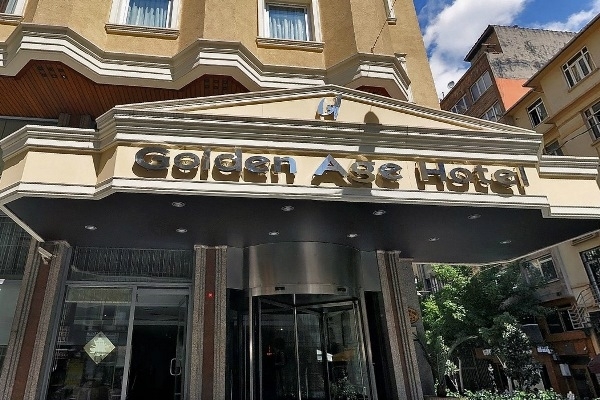 The Golden Age Hotel is located in the center of Istanbul in the Taksim area. Golden Age hotel has 2 conference halls which provides the opportunities for all types of organizations. Golden Age Hotel has 181 rooms: 3 King Suits, 6 Corner Suits, 1 Handicap room, 2 Connected rooms, 169 Standard rooms. La Coq Restaurant: capacity 300 people and serves the various breakfast buffet. It also provides group á la carte dinners 24 hours a day.Nostaljia Bar: Placed in the Lobby area our bar is open from 10 a.m till 2 a.m. Pool Bar: The bar is open during the summer period from 10 a.m. till 7 p.m.
How far and How long will it take from/to the Golden Age Hotel Istanbul from/to International Airports and cruise Ports.